Once again we meet Oh Royal Moon; hopeful, calm, peaceful; centred by your appearance. Giving us the inner calm we so seek longing for the inner peace and stability within our being. Longing to be enabled in all we have to do; knowing that the task ahead can be daunting we pledge to be clear and honest in all we do. Being gratefully aware of your greatness we ask the radiance of your illumined light to shine a vortex of healing random light to whoever needs it on earth today; giving them the gift of emotional insight with practical action that enables more peace in their lives. Oh Sacred Moon, we greet you on this most auspicious of SUPER MOONS, the third in a row, (12 July, 10 August, 9 September) magically transforming and healing us with your illumined radiance of pure light and love; always there for us; reminding us we are loved and you are always there for us; whether we appreciate it or not. Thank you. Thank you for journeying close to us on earth to remind us of your light and your gloriousness as you shine 30% brighter because you are closer to earth. On this Harvest Moon we gather our harvest and celebrate. We give thanks celebrating our Emotional / Spiritual (Pisces) and Physical / Earthly (Virgo) energy. Pisces is the last sign of the zodiac; representing death and change having gone through the journey of all signs. It brings with it contemplation and reflection, after challenges and overwhelming decisions that have had to be made. This Full Moon in Pisces is about emotional clarity with practical application in your life. It is a gathering of great wisdom from deep within your soul to move you on to your next level in life – your promotion you could say! We note the changes we have gone through; to achieve what we wanted to achieve. What qualities have your activated? What things or actions nurtured you in your achieving process? In what ways have you changed? In the silence of the stillness of this Full Moon be whole and complete. Amen. ergy of Now with the Sun and Moon in opposites signs teaching us about balancing our emotional and practical lives. We have the water energy of Pisces and the earth energy of Virgo expressing intuitive spirituality (Pisces) and practicality in spirituality (Virgo). I like that. How are we balancing our spiritual life with our practical life? Emotional Vs. Practical. Feelings Vs. Thinking. How are you today? Tired or Energised? Happy or Sad? Lethargic or Excited? Healing Vs. Non Healing. What direction do YOU choose to swim in when Pisces likes to swim in opposite directions? 9 is a number of celebration and triumph over hardships. My friend, Sandy Banfield, is celebrating 9 years of marriage on the 9 September, September is the 9th month. CONGRATULATIONS Sandy Banfield. You are a true inspiration in more ways than one. 9 is a number of endings and completions. This Super Full Moon on 9/9 is the last of 3 Super Full Moons in a row. As we end the series we begin a new phase but first we need to look at the lessons and stories we have to tell and we have learnt before we can move on to the next process in our incarnation. 9 is a number of passion and strong feelings and on the Super Full Moon we have a lot of that with this energy. If you have strong swings of moods ranging from extreme joy to extreme anger you have been hit by the waves of the Full Moon and the number 9. 9 is a sacred number in some traditions carrying great awareness, spiritual insight, kindness, compassion and healing. I mentioned earlier that 9 is a number of triumph over hardships. The need to let go after learning the lessons and the need to let go in order to move forward and move on in your life is very important with the number 9. The lessons can be hard and direct. 9 does not miss any punches of pain. t you need to assimilate. You reject what needs to be rejected. You release what does not serve you anymore. 9 is a dynamic throat chakra number as it communicates with ease and strength your ideas, opinions and thoughts. It enables smooth communication, confidence in speech and drama, as well as expressive self awareness. It helps you acknowledge yourself in a wholesome way and embrace yourself. There is so much more on the number 9, I will say more about it at the moon gathering tonight. A Spiritual Coach is a person who is trained and fully qualified in healing modalities with over 10 years experience. A Spiritual Coach is also a person who is a qualified and trained practitioner of Coaching, Time Line Therapy, Hypnosis and NLP. A Spiritual Coach is someone who specialises in the Spiritual aspect of life; bringing Spirit back into relationships, finance, money, business, family life and career. 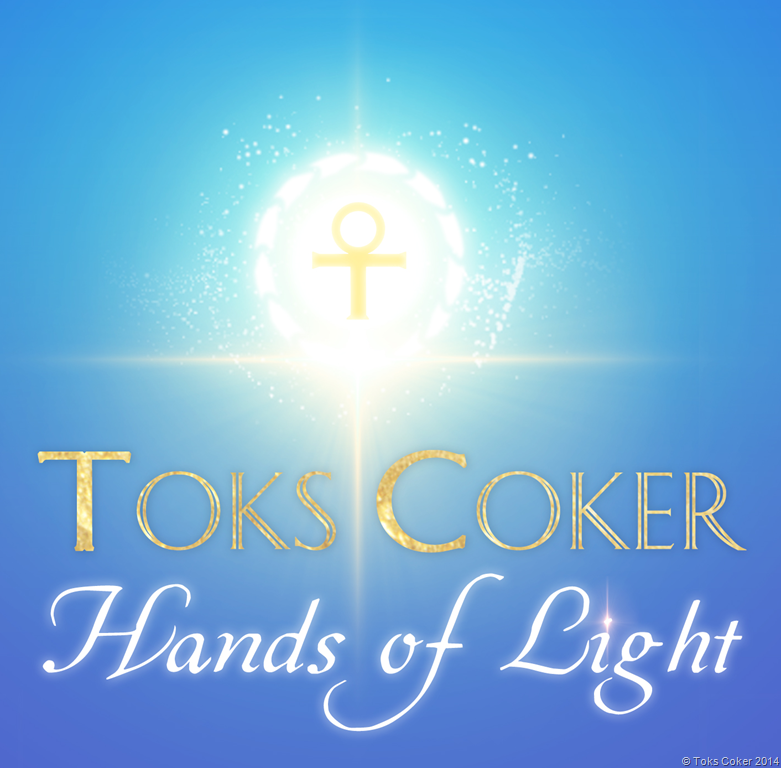 Toks Coker, Spiritual Coach, works from the heart centre, smiling from deep within, shining a glorious light on your life. One of the greatest asset of a Spiritual Coach is the energy of healing love. With this great asset and discernment the Spiritual Coach coaches, guides, heals and mentors you. It is a good idea to book a series of sessions to get the real value of improving and shifting your life condition. Committing to improving your life is a life time commitment. Toks, Spiritual Coach, shows you how to come home to your glorious self and like what you come home to. She connects to divine source easily; and shows you how easy it is to do yourself. A Spiritual Coach helps you see what is limiting you and empowers you to heal this limiting decision that is sabotaging your life. Deep down Spirit know who you truly are and why you are here. Spirit also knows that humans carry the burden of pain and live with the challenge of transforming the poison in their lives to medicine. The Alchemical Resurrection of Your True Self is what the Spiritual Coach helps you to activate and live. The Spiritual Coach helps you heal ancestral family lineage karma and face the truth in your family history. We carry the burden of pain from our history and DNA in our memory cells and sometimes we cannot release them ourselves as they deeply buried deep deep within your psyche. Toks will help you with this. The Spiritual Coach is aware of many spiritual laws, (which help in explaining things to clients), such as law of attraction, law of cause and effect, the law of relativity, the law of polarity, the law of vibration, the law of perpetual transmutation, the law of rhythm, the law of sacrifice, the law of action, the law of oneness, the law of compensation, the law of wisdom, the law of reincarnation and karma, the law of wisdom, the law of free will, the law of manifestation, the law of gratitude, the flow of detachment, the law of bodhisattva, the law of soul evolution, the law of grace, the law of harmony, the law of abundance, the law of unconditional love, the law of reflection, the law of divine order, the law of obedience, the law of forgiveness, law of thinking, and law of compensation. 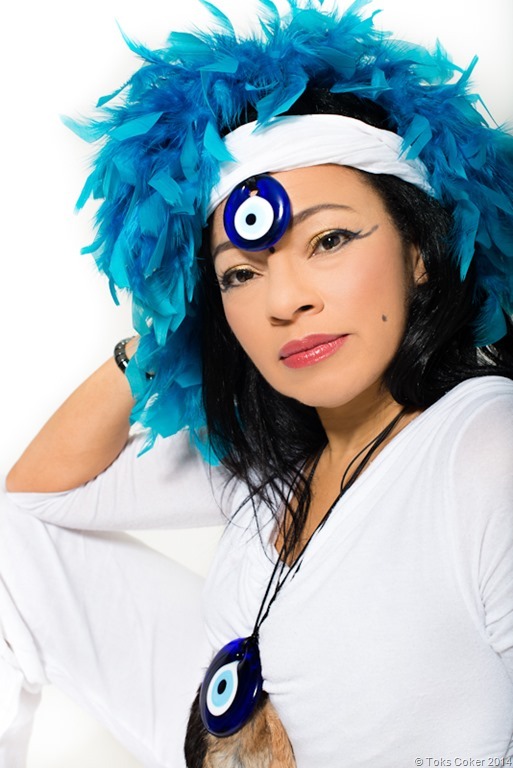 Toks has found that spiritual knowledge helps in understanding and healing the human mind and emotions. A Spiritual Coach works on increasing wholeness. People are easily fragmented and need wholeness. Spiritual Coaching helps you anchor your power within you and become more confident in who you are are and who you choose to be, not what someone else wants you to be. You begin to recognise your worth, your confidence and your strengths. Spiritual Coaching is a fabulous way of transforming your life in a sacred space when you are feeling inadequate, inferior, insecure, undecided, and confused about your life, business and relationships. Aligning yourself to the language you use on yourself will allow your own understanding and knowing of your own personal deep ‘secret’ life. Spiritual Training is a life time process within Spiritual Coaching. You decide and you achieve. Spiritual Coaching enables you to turn your life around; in a fast effective way; that produces the results you are looking for; by giving you options to help you in your process. Toks encourages you to grow and suggests procedures that help to increase your wholeness. eel the greatness of you and the power of you. The Super Moon says it is time to shine your light 3-fold. We will do all the above and more. Contemplating the power of the number 9 is a wonderful experience which we will do at the meditation tonight. We will call in what 9 means to you right now and what it brings for you right now with this energy of the super full moon. We will be working with the energy of the throat chakra, to clear blockages which show up as sore throats, unable to speak your truth, etc. and opening it up. What qualities have your activated and nurtured in the past 3 Super Full Moons? In what ways have you changed? List 10 values that describe you. List 10 qualities you love about yourself. Where were you each of these Super Moons? What were you doing, feeling, thinking and eating? What did you notice was similar in your life over the 3 Super Moons? What did you notice was different in your life over the 3 Super Moons? In each Super Moon what did you complete and celebrate the most? What has each Super Moon brought you, and celebrated with you? What is a Super Moon? What is the Super Moon? What super emotions did you experience? Positive or Negative; or both? How were they triggered? What eruptions did you have? What lie was revealed? What situation was difficult? What darkness was illuminated by the light of truth of this Super Moon? What chaos did you experience? What turbulence? What difficulty? What realisation? What empowerment? What dis-empowerment? Which of the 4 flowers in the picture reflect your lessons learnt during this period? Allow the healing energy of the flowers to help you anchor the lessons beautifully. What nurtures your soul? What nurtures your spirit? What nurtures your essence?